Cranfield Energy has a vision to be the preferred international energy solution provider, providing innovative local energy solutions. Cranfield Energy provides efficient equipment run-out and testing for specialised equipment used in the oil and gas industry. Cranfield energy is licensed by Schellstede LLC, USA to operate and develop wind power projects in the coastlines of West Africa. 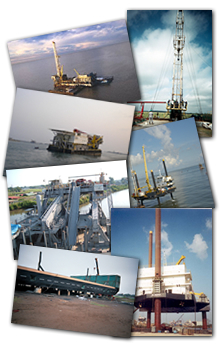 The oil and gas industry has produced thousands of service companies which support the required tasks of the industry. Although oil and gas is found in very harsh environments, the industry has however developed various methods to provide it with the most efficient drilling and production systems. In the past thirty years, the industry has focused on technology as the major driving force to produce oil and gas in an efficient manner. Video of Sea Clean, an environmental battle vessel designed by Herman J. Schellstede, the President and Chief Executive of Cranfield Energy.